Reiki is a gentle healing technique which originates from Japan. The word Reiki is translated as universal life energy. The practice of Reiki involves the channeling of this energy into you for healing purposes. The therapist purely acts as a channel in this treatment and has no influence on the effect that the energy will have on you. Once the energy has been passed to you your body decides what purpose the energy should be used for. Our bodies are very clever and intuitive machines and will always use reiki energy to benefit your highest and greatest good. Sensations felt during a reiki session vary, all are very subtle and can include warmth, cold, tingling and deep relaxation. Reiki works in a truly holistic way and triggers healing responses physically, mentally, emotionally and spiritually. 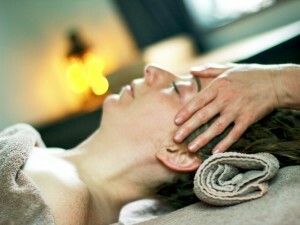 Reiki can be a stand alone treatment or combined with any of the other treatments listed. Your initial treatment will be preceded by a consultation session, this can take anything from 5 to 20 minutes dependant on your reasons for seeking treatment and how detailed your medical history is. This treatment can be performed either laid on a massage table or seated in a chair. Either way you will remain fully clothed throughout the session and quite often will be further covered with a blanket in order to retain a sense of warmth and security throughout the treatment. The therapist will channel the reiki to you by placing their hands in various (non-invasive) positions on and above the body. Any physical sensation that is felt is usually very subtle and occasionally none is noticed at all. Can’t make it in to the centre for a treatment? An appointment to receive reiki energy can be made in the same way as you would if you were coming to the centre for a treatment, however your initial consultation will be carried out either by telephone or Skype and then energy can be sent distantly to be received by you in the same way as you would in a hands on treatment. This distant healing is best arranged for a time when you can ensure you will not be disturbed and can take some time out to be still and relaxed. Full details of how to best prepare yourself for a distant healing will be given when making your appointment. Call or email me to find out whether a distant healing session would be suitable for you.